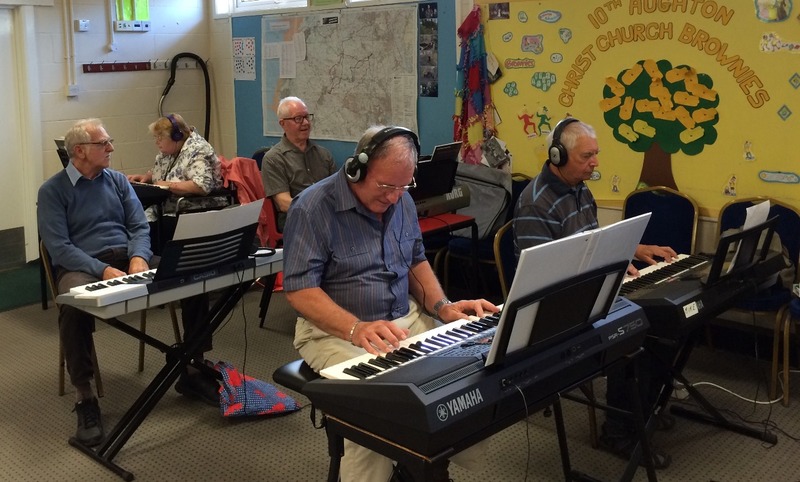 A happy and friendly group of mixed abilities playing music on digital keyboards. We have a few vacancies for players who can play a little or a lot. Unfortunately we cannot take beginners. We would welcome a few new faces. Come along with your keyboard and headphones – although there will be ample time to play without headphones – and try us out. Our intermediate groups on the 2nd and 4th Monday are now full. Decided our piano would have to go. But it sounded like a honky tonk from the far Wild West. The music stool and the music went too. I sold my musical traumas – I’d had more than a few! I had less than fond memories of teachers that shout. My musical evenings were over and out. But where’s my piano? I wanted it back. OK. It was old. The white notes had gone black. And those wooden elephants are stuck on the floor. Ouch! I’ve tripped over them again. There’s a lump on my head. They’ve got to go somewhere, maybe out in the shed. Joking apart, there’s a space in my heart. I’d been too impulsive, trying to make a new start. Pianos dressed in smart disguises. Touch a note, a whole orchestra plays. Is that what I want? I’m trapped in a daze. And there’s no room for the elephants on a Yamaha top. They’ll have to emigrate to the Oxfam shop. There’s an ad in the paper. It’s just down the road. For £40? I wonder how it sounds. With my second hand keyboard, just feeling my way. My new toy did fantastic things. So clever and light! Such pleasure it brings. But……at the Keyboard Group there were magnificent things. They sound like bulls without the gore. I raise my cape. Into battle! I’ll show those Tyros 3 and 4. And now my teacher’s Doreen or Dee. And playing just like Rachmaninuff! Well, the keyboard does half the stuff. Thanks Dee for all your kind advice. But the inspiration brings discontent. But my fingers refuse to do as they’re told. I fancy playing jazz to relive my youth. Well, I never went to a jazz club to tell the truth! Make progress like a bunch of snails. But we still produce some damn good tunes. And we all feel we’ve made a friend. I hope our meetings never end. Dee is the leader of the Keyboard Group and I wrote this poem for her birthday. The poem tells its own story but I must add how much I enjoy being part of the group. I have made some good friends and learnt such a lot, although there is always so much more to learn. I benefit so much from the various groups I belong to and I am immensely grateful to the U3A for giving me these opportunities. Long may it continue to flourish! 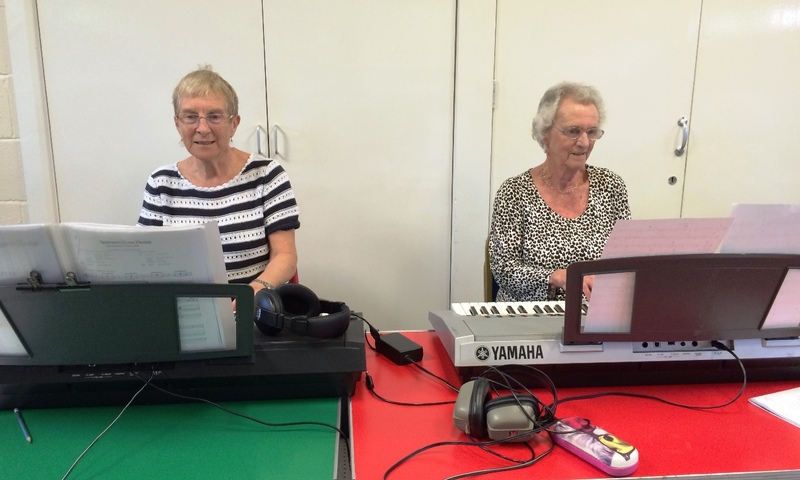 The U3A is very much about sharing knowledge among members, and what better example than in the Digital Keyboard Music group.